An all-woman marathon! A gentle down-hill journey through beautiful Spearfish Canyon from Lead to Spearfish...scenic, serene, spectacular. Savor the relaxed pace of a Dakota day, and the inimitable western hospitality of the mystical Black Hills. Very fast; Boston Qualifier. Come run where Dunbar danced with his wolf, where the past comes alive in historic Deadwood and legendary Lead. This is the fastest marathon course in South Dakota! One in four women qualified for Boston; women from all ages, shapes and forms running together in a giant girl party of fitness and fun. 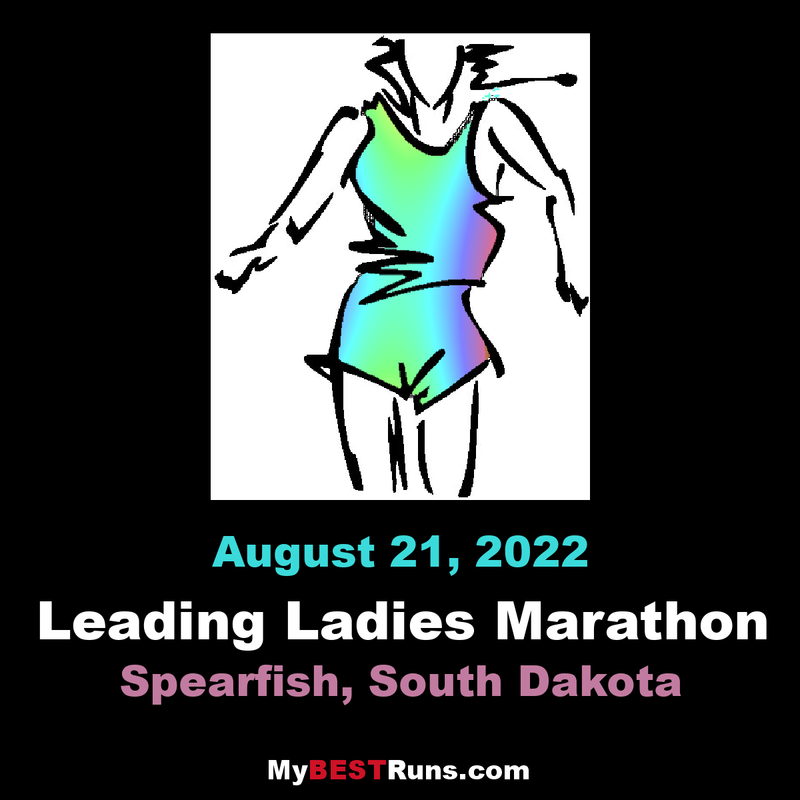 - Leading Ladies Marathon USATF Certificate SD16002BK. Effective July 25, 2016 - December 31, 2026. Leading Ladies Half Marathon USATF CertificateSD16003BK. Boston Qualifier.